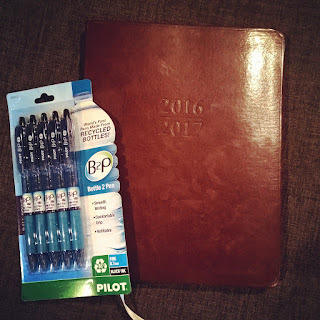 2016 is the first year that I have been trying to shop ethically from start to finish. It became clear to me in 2015 that my approach to shopping and consumerism effects the Earth and many of its inhabitants in profoundly negative ways. I would like the Earth to have been a teensy bit better because I was here, but unless I changed my shopping, the impact I had would be mostly negative. I was creating tons of waste, empowering companies that mistreat their workers (putting them in mortal danger), and burning up fossil fuels because the stuff I bought from China could have been made next door. We buy less- Americans buy a crazy amount a year, and most of it is junk we don't need. This quantity over quality attitude is filling our landfills at an epic rate (especially with plastic). You know those trips into Target where you need a toothbrush but somehow come out with a hundred dollars worth of stuff? Sure, they can seem glorious, but they also leave me with a bunch of extra junk. So I just don't do it. I didn't buy make up or clothing unless I was replacing something. If I thought something looked cool and I wanted to buy it, I just tried to wait a while before I decided it was something I need. I am not going to say we aren't shopping. We are. But we are buying a lot less. Part of the strategy to buy less is to check our Buy Nothing group first. If you haven't joined your local Buy Nothing group yet, do it! These hyper local groups on facebook allow neighbors to offer things they don't need (everything from food to toys to clothes) or to ask for things they do (it means you can borrow a roaster instead of buying one or get a tablespoon of rum from a neighbor instead of getting the whole bottle). We buy used- When I was a kid, I think buying things used had a real stigma around it (that you were a charity case or something), but I think that attitude is a mistake. Our generation can do better. Used (and donating or selling to consignment stores) is awesome. I buy like 95% of my children's clothing secondhand. They use clothes for such a short time. You can either buy a piece of junky clothes made by someone mistreated that will wear out quickly and en up in the landfill OR you can buy a better piece of clothing, save something from the landfill, and look that much more on point. 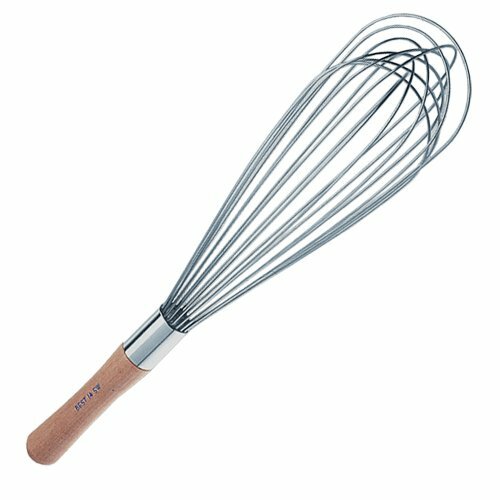 Used kitchen tools are so much cheaper and they work the same. Used legos cost a dollar- how much does a new set cost? We saved hundreds of dollars this year buying used, but it also kept things out of the garbage. 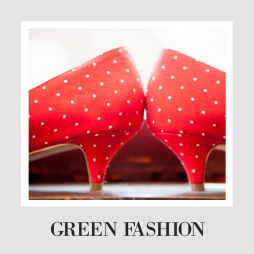 Clothes in consignment have also traveled much shorter distance (less fossil fuels) and hasn't created any additional waste. Used is the best. Can't find it used? Try recycled. We have recycled toothbrushes, plates, paper towels, the works. You can buy recycled paper Christmas cards. Recycled plastic bottles are used in raincoats and pens. You worried about the environment? Shorten your list, and then get as much as you can checked off with recycled and used products. If our generation wants to change the world, this is a real and powerful place to start. 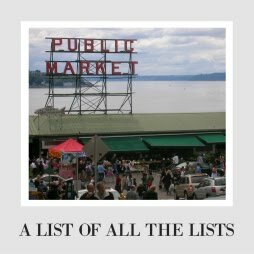 We buy local and American- This is the most fun challenge of this blog- you can find almost anything made nearby. Now, when The Boy says "We need bungee cords," I jump at the chance to find American-made bungee cords. I am psyched when I hear about a new American small business or find a kickass Etsy store. Shopping local saves communities. We spent a hellish year hearing about the death of small towns and how everything is terrible. If you are worried about jobs in your small town, stop giving your money to big chains who only sell stuff made far far away. The shorter the distance our products travel, the less fossil fuels they use. Even better, companies start to get the message that people aren't interested in their shoddy sweatshop junk. I believe in shopping local. Plus, I found so many cool things that American makers are turning out. So, Buy Less, Buy Used (and Recycled), and Buy Local (and American). Simple right? No! It can definitely be a challenge, and it requires you to not want what you want exactly when you want it. It has helped me learn how to slow down and not approach life with such urgency. And it really can be fun. These are some of my favorites from this year. 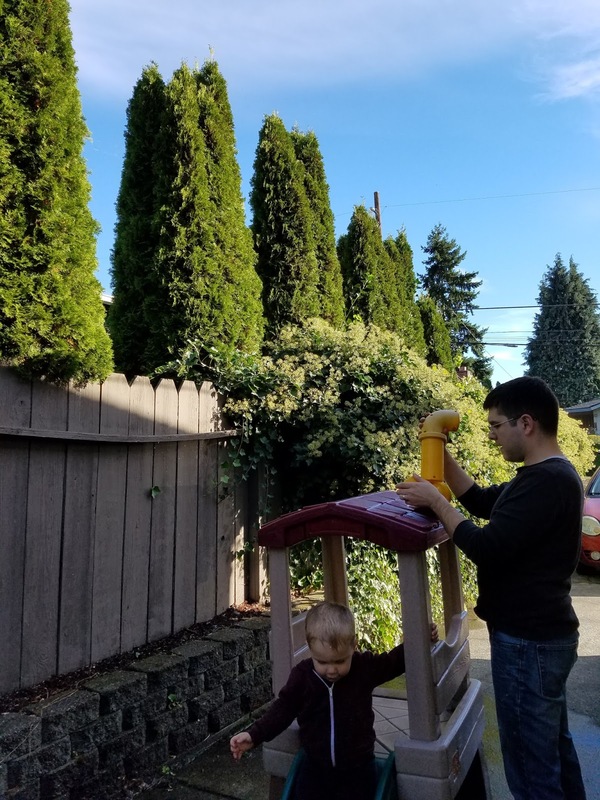 We needed to get our Seattle toddler some rain boots, but none were coming up at consignment stores (or at least ones that would fit him). This child deserved to stomp some puddles, for goodness sake! So I gave in and started looking for some boots we could feel good about. The answer? Kamik Boots are family-owned, made in Canada or the USA, and they will recycle your boots' materials after they are out of life. They have boots for all ages and genders. Honestly, their toddler girl ones are simpler and cuter, but these raincloud boots have turned out to be gems (and work perfectly with a Pikachu costume). The Christmas before last, The Boy and I bought each other whisks for our stocking, because our hand me down one bit the dust. Both died this year. The wires popped out of the handle. Damn you Giada! The first time around, I got two big boxes of nursing pads, and because you only sort of get things, you don't realize there is NO REASON they shouldn't be reusable. The same milk will be spit up on rags you will just wash. What about breast milk needs thrown away? So I got these pads from Love your Reusables, but you can find all sorts of reusable nursing pads on Etsy. My other favorites are from Marley's Monsters, because fun prints never hurt. When we left for our big trip last December, my goal was only to buy things made in New Zealand or the Cook Islands. I feel like in the past, we spent our share on stuff that was Made in Elsewhere with "Peru" or "Austria" written across it. If we were traveling to New Zealand, that is where I wanted to leave my money. Surprising, even to me, was that we actually succeeded in the goal! We found so many great things, from Christmas ornaments to jewelry to a little sheep for our baby all in local stores and made nearby. The trick isn't anything special, just actually check tags and bottoms, and look out for stores that seem to carry more original stuff. And have faith that if you haven't found a "Made in New Zealand" Christmas ornament yet, there is one just around the corner. Patience and flexibility are key, and I found we liked what we ended up with for ourselves and for gifts way more. Not more expensive or particularly more difficult (except that we visited during their big holiday), the goal just required that we paid attention. From here on, this is how I am traveling. Because I want to travel further than my stuff travels.And if I am bringing gifts from abroad, why buy things made in the same factory as junk they already have? This year I gave up my beloved Mom Agenda because it is made in China. If something is maybe with cheap labor and paper, but it costs 50 dollars, what do you imagine we are paying for? Instead, I tried this super affordable planner from Gallery Leather. I actually like the designs inside better, it is hardy enough to survive my toddler, and it looks hilariously class considering most of my daily plans are to not get puked on (too much). I don't miss my old planner at all. My favorite Christmas gift this year (which, to be honest, is still in the works- it has been an extremely tough December) is piano lessons for our niece. Maybe she will hate them, maybe she will love them. But this girl is the coolest, and it was fun to get a gift she was excited about that didn't have anything to do with cursed American Girl dolls. I preach a lot about buying experiences, but I do confess it is a risk with kids. But I think this landed, and I can't wait to hear this girl play Old King Wenceslas on the piano. And learning to read music is a gift that will stay with her way longer than any American girl accessories. I used to love buying holiday decorations, and we would go to Michael's and splurge. Now, we have lots of stuff we don't really use, and I want to buy one or two things new TOPS for the whole year (I don't think I have Goodwill splurged, but I would). This year, we went big with a reclaimed flag from The Scarlet Oak on Etsy. I love that it is from Murfreesboro, TN, and the flag turned out so cool. It is going to look really great for a long time. and it is helping me let go of the plastic and sparkly Michael's stuff. I spent the majority of 2016 super prego, but since it was my second pregnancy, I mostly wore leftovers. 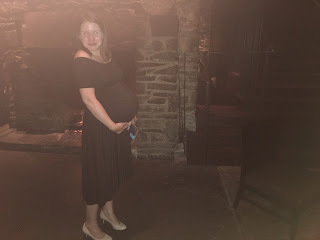 What I didn't already have, I mostly bought used, but I did splurge for one new maternity dress. It's this beauty from Rachel Pally, who makes the majority of her clothing in the United States (including this). I loved this dress. I felt so so pretty in it, even when I was the size of a small boat and the pockets were filled with sniffly tissues. I had no business feeling as pretty as I did. Was it cheap? No ,but it wasn't terrible, and I still spent way less money than I would have if I hadn't bought most everything else used. This is one of the best parts of changing your approach to shopping- when you buy way less, and most of it you buy used and super cheap, your splurges can really be great. And this dress was just the best. I love Buy Nothing and I love buying things used. Reusing things others are done with keeps something out of a landfill and saves us so much money. Especially if you have kids. We have probably saved way over a thousand dollars this year by buying all our kids' clothes used and by getting so many of our toys on Buy Nothing. If you haven't joined one yet, please, do it. It will make life better. Used had a bad air about it when we were kids, but I think buying used actually is one way we can make our kids lives and world better. One day sums this all up. In the morning, we were picked for a radio flyer double wagon, so we headed over to the neighbors to pick up this wagon. It doesn't look brand new, but it's fine, and the 170 dollar item cost us 0 dollars. Later that afternoon, we went to another neighborhood in the city for their big community garage sale. We bought a playmobile airplane for 5 dollars (as opposed to 75). Last, we found a little play set, which we had been searching for all summer, and since it was the end of the day, the owner threw in a pirate play table. Retail price is about 250. All for 20 bucks. I won't buy fresh plastic toys and I don't think a toy needs to travel across the world so my kid can play with it. A lot of the links I share with you make these choices seem expensive, but when you remove the stigma around used stuff, you can save more money than Black Friday could ever offer (just that day we saved about 500 dollars). Also, we had a fun adventure! We mostly haven't put the toys into rotation yet, but the playset and airplane have both been massive hits. Days like this make me happy to be shifting our lifestyle. I used to have near obsessive Shutterfly loyalties, but I am so underwhelmed by their options for cards. Why no recycled paper, Tiny prints? Why not be more forthcoming about where things are being made? Because of that, I am now exploring other options like Artifact Uprising and Paper Culture. Instead of getting our Christmas card from Shutterfly (or even Minted, who do offer a recycled paper option), I am now all about Paper Culture. Not only do they use 100% recycled paper. They also plant a tree for every order placed. At least 400,000 so far. That's awesome. Their designs and prices are right in line with the other stores (and they have great sales), and they do more good. We took the leap and tried them, and the card we bought feels and looks great. Will definitely buy from them again, and I hope you are willing to try it too. If companies like Shutterfly see that more and more people want more eco-friendly choices, maybe they will offer some themselves. Shutterfly, our love affair was long, but I am slowly moving on. Better options exist. These are my favorites from this year! 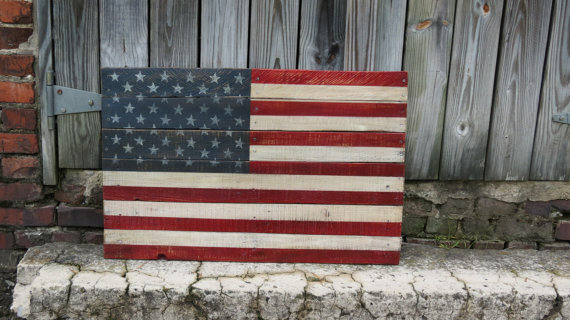 What eco-friendly and made in America purchases did you make this year? I can't wait to see what cool stuff we discover in 2017! Another Shutterfly option? SocialPrint Studio, a small eco-friendly company printing right in San Francisco. I love them. And their cheerful, personal, friendly emails. Love it- who doesn't love getting a cheerful email?